The maximal fitness test will determine your peak aerobic fitness level, or your peak ability to use oxygen by muscles. This is important because higher fitness levels relate to better endurance performance and low risk for lifestyle disease. Your physiological limit of aerobic endurance will be identified and your approximate training zones for improving endurance can be set. 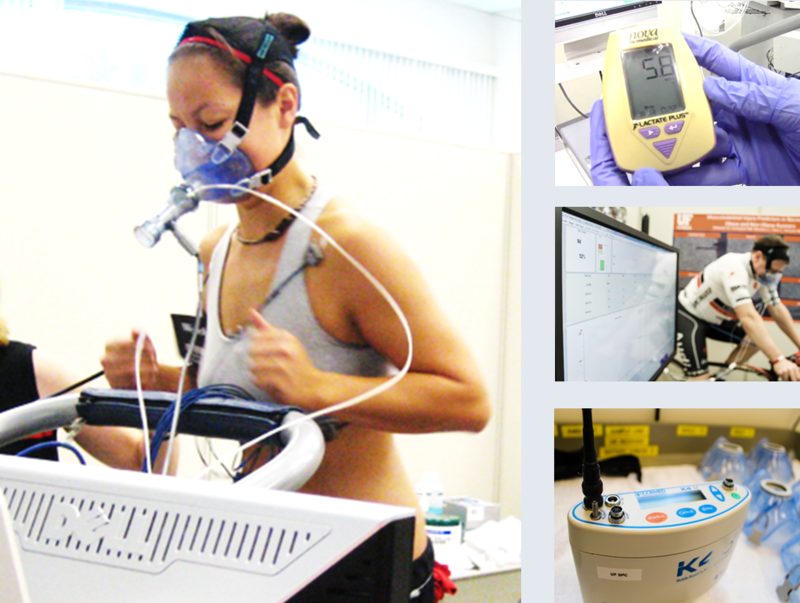 This test can be customized for a treadmill or a stationary cycle. 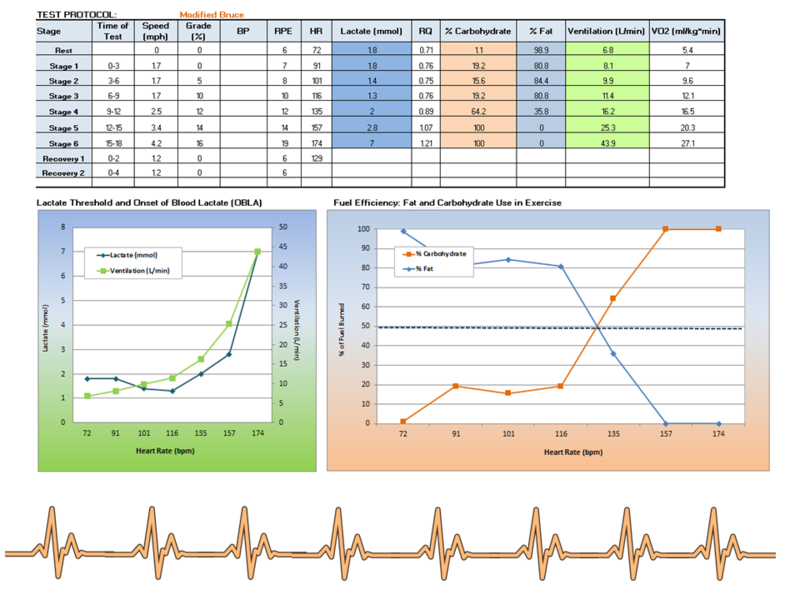 Find your fat and carbohydrate use in progressive or prolonged exercise bouts – this help plan training and nutritional strategies. Find your ventilatory threshold and at which exercise intensities you can train to improve your submaximal power. Interested in improving your fitness for health? This test can show you your starting point and initial cardiac fitness ability. The Lactate Threshold Test is the maximal fitness test described above in addition to measurement of blood lactate levels. The purpose of the test is to determine the workload and heart rate at which your body shifts metabolically from using primarily aerobic energy sources (fat oxidation) to that of anaerobic pathways (glucose oxidation). Lactate production exceeds its clearance in the body. For the performance athlete, determining your lactate threshold will help us find your training zone. By exercising at this threshold, your body will adapt to higher intensities and you will be able to sustain higher exercise intensities for a longer time. After a couple of months, re-testing will help find the new threshold to keep improving your performance. We provide repeat testing for a reduced fee of $125. Total test time from preparation to completion is approximately 1.5 hours.